Once upon a time, I fancied myself a "hair minimalist." After temporarily giving up shampoo five years ago, I transitioned into a very low-key routine sans any heat tools, a blow-dryer, or even a brush. But a few weeks ago, I realized I could no longer in good conscience label myself as such: While I once limited myself to a great hair oil, cleansing conditioner, and the occasional mask, I opened the cabinet door of my vanity, and a dozen different styling creams, sprays, and dry shampoos spilled out. Marie Kondo would be appalled—and the question remained: Did my hair even need all this stuff? Yes and no. I have extremely thick waves that have only become curlier with time, and in recent months, I've spent juggling a number of styling products, mixing and matching in the hopes of finding a balance that coaxes out the best version of my natural texture. But in the interest of freeing up some bathroom real estate, it was time for a change—and as fate would have it, I would soon be introduced to a new haircare brand that operates under an M.O. of minimalism. 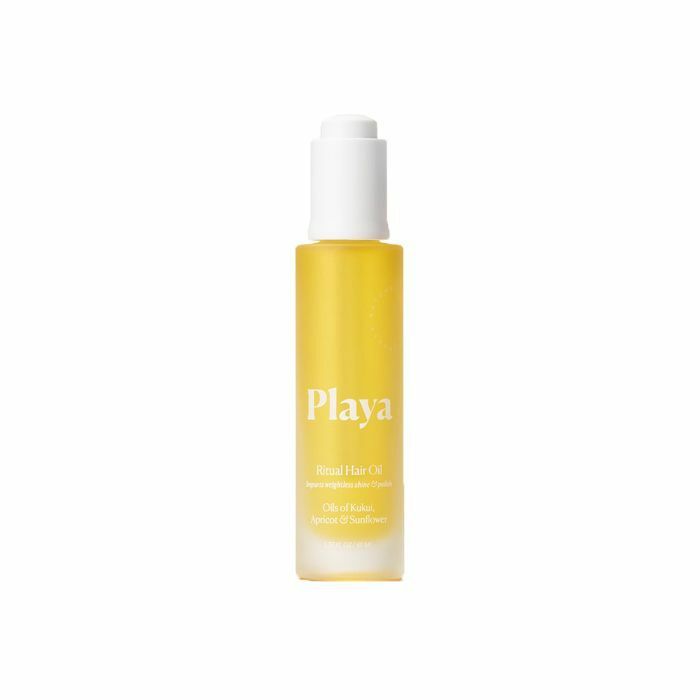 Playa is the brainchild of Shelby Wild, a former fashion stylist who has since made it her mission to bottle California cool. 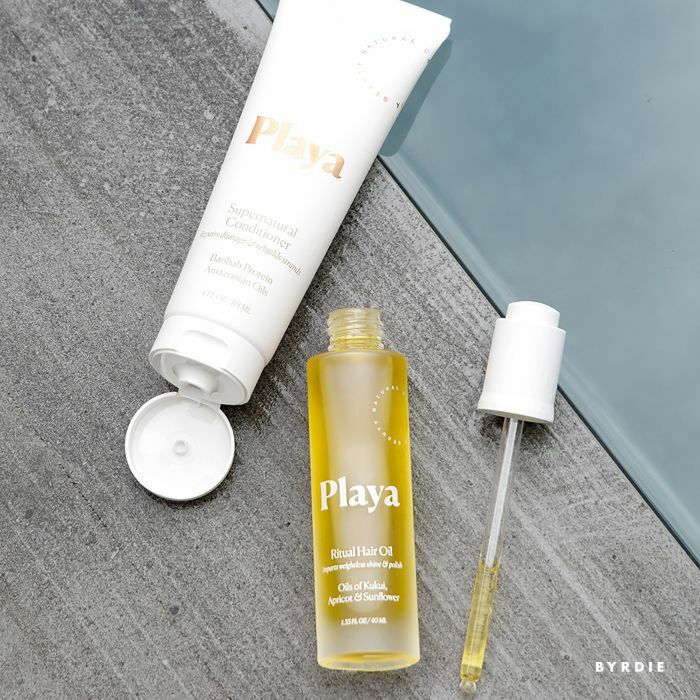 With Playa, she does exactly that: Based out of Venice Beach, the five-product line is touted as a "one-and-done" collection. Each formula—a shampoo, conditioner, dry shampoo, salt spray, and nourishing hair oil—is crafted with naturally derived ingredients with the intention of enhancing natural texture. It's simple and thoughtful, but it's no-fuss—the essence of the California lifestyle. 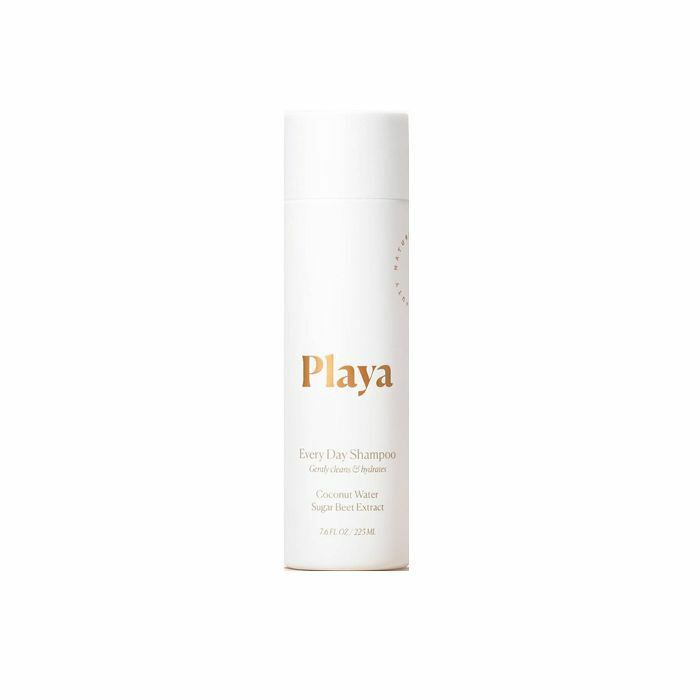 While it's not set to launch until later this month, Playa is already hotly anticipated—especially among an unexpected demographic. While introducing me to the products earlier this month at hairstylist Kristen Shaw's one-room Venice salon, Cabin, Wild revealed that she has been surprised to see preorders pouring in from the New York City area—a testament to the cross-country appeal of that Los Angeles vibe. I won't pretend I wasn't wary of walking away with yet another handful of products to squeeze into my already cluttered routine. But, as I've played with the Playa collection over the past few weeks, the bulk of other items in my vanity have gone untouched. For the first time in my life, I'm using a dry shampoo that doesn't make me wince—that's because the botanical blend of rose powder and anise extract sops up oil without leaving any weird residue. Whereas I used to smooth and spray in two or three products to breathe life back into my waves, the Endless Summer Spray ($28) delivers a flawlessly beachy texture in mere seconds. Next up, check out the dry shampoo tip that changed my life. According to Meghan Markle, This Under-the-Radar Hair Brand Is "Life-Changing"